(From the foreword by Kris Saknussemm) As with all the poets I most admire, words are living things for Tikuli. But as you will come to discover, they are never deployed for their own sake. She uses them to tell stories. The images, scenes, characters and fragments of visionary empathy that you will find in this book are all rooted in her native India-and yet they reach out far beyond national and cultural boundaries. They do so because they have an interior cohesion of spirit. Her subjects are often the dispossessed, the lost…the abused. There are undercurrents of sorrow and anger. And yet love shines through, even when it seems to be fading away. Above all, there’s a powerful sense of hope at work-a conviction in the redemptive strength of poetry. The first thing that strikes is the Title – Collection of Chaos. Chaos? Yes. Chaos. This definition sums up the reason being using the word chaos, if not more. We, the humans, are a complex system whose behaviour is extremely unpredictable and gets affected with small changes thus translating into chaos all around us and in our minds. Collection of Chaos is an account of close to 100 poems depicting chaos through the poet’s meticulous eye for details that brings out the pain, the sufferings of the lost, dispossessed, of the abused and of love. Her poems quietly crawls into your system, into your imagination, into your world and surroundings and leaves your heart craving for more words, for more emotions and feelings. A poem has to be an account of words and emotions that can transgress you to either startling reality or to the land of dreams and imaginations or both. 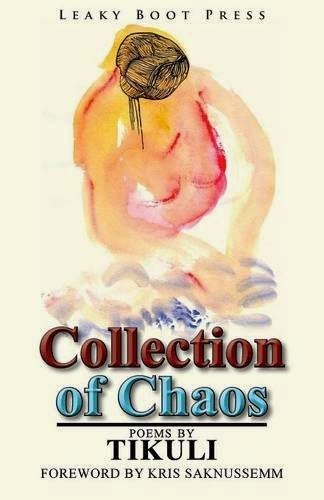 And Collection of Chaos is definitely a book that allows you to travel through them. And it is through her striking choice of words that makes things so evident and lively, sometimes based on hearsay and arresting readers emotions on the other that works wonders for a poetry lover like me. And undoubtedly the taste of her writings definitely lingers for a while into your head. Collection of Chaos by Tikuli makes a satisfying read !! Brought up in Delhi in a family of liberal educationists Tikuli is a mother of two sons. She is also a blogger and author. 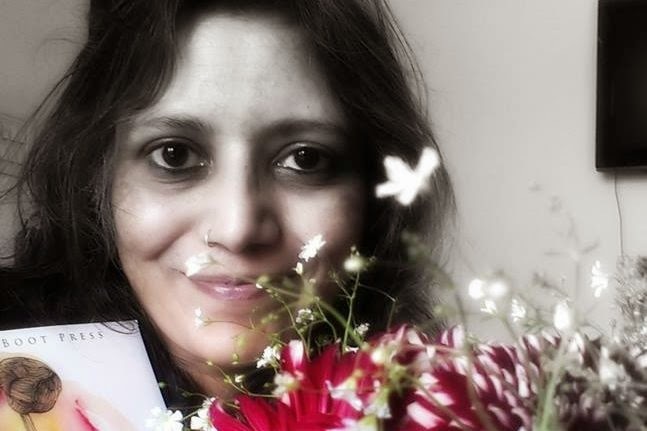 Some of her short stories and poems have appeared in print and in online journals and literary magazines including Le Zaparougue, MiCROW 8, Troubadour21, The Smoking Book (Poets Wear Prada Press, US), The Enchanting Verses Literary Review, Mnemosyne Literary Journal, Women’s Web.